The Aspen Institute Prague Annual Conference celebrating 20 years of the Czech Republic. The Aspen Institute Prague, together with PRK Partners, attorneys at law, has the pleasure of inviting you to the upcoming annual conferenceOvercoming Barriers to Growth which will take place in The Congress Center of the Czech National Bank. We are pleased to announce Karel De Gucht, EU Commissioner for Trade, as the conference keynote speaker. 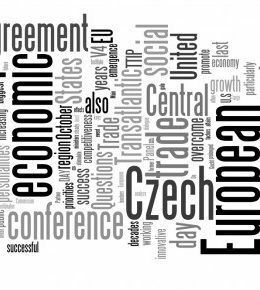 Following our 2012 launch conference that revolved around the economic crisis, this year’s event will be devoted to identifying and overcoming barriers to growth in the Czech Republic, Central Europe and across the Euro-Atlantic region. It will also be a great opportunity to celebrate thetwentieth anniversary of the Czech Republic and to reflect on the two decades of development and changes the country and the Central European region as a whole have undergone. The first conference day, inspired by the country’s notable anniversary, will focus on the twenty-year process of removing political, economic, legal and mental barriers to the growth. Distinguished Czech personalities from politics, business, culture and sports will contribute to the discussion on obstacles that impede further development, be it in the administrative, political or entrepreneurial environment. The second day will host high-level EU and American officials and representatives of large international companies. The main topic of discussion will be the impact of the Transatlantic Trade and Investment Partnership (TTIP) on economies of the Euro-Atlantic area. Registration details will be announced as of September 3, 2013.